Hey everyone! I hope you are all having a fabulous weekend! I ran 5 miles yesterday morning in the sweltering heat and humidity. Yeah...it was NOT a good run at all. We have spent lots of time in the pool because it is super super super hot out there! Today I'm spotlighting Liz from Feet Dominating Pavement! She's another runDisney fan like me!!! Keep reading to learn more about her! State: Kansas, but now living in North Dakota. I started running when I was about 17 years old. I was abused growing up, and I turned to self abuse to cope. One day I drove to a park and went for a “run”. Translation: I ran until I was out of breath, stopped to breathe, and then ran again. I don’t remember what inspired me to run, only that the endorphins and the freedom that it gave me was so great that I was eventually able to stop my self abusive habit and turned to running to cope. Sadly, I ran off and on, and didn’t fully grasp how helpful running can be to your mental health until recently. That’s a tough one. 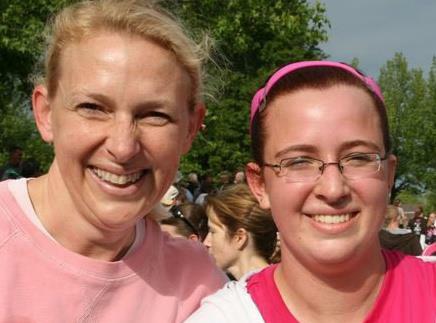 I loved running the Disney Princess Half marathon, but my fondest race memory is running the Mother’s Day 5k with my mom. It was my first 5k ever and she came to support me and run with me. It got me hooked on racing and I will treasure that memory. I think my favorite distance is either the 10k or the ½ marathon. 10k is long enough to be a challenge and the half you need to actually train for. Does freaking out count? No? Darn. I actually start a day in advance laying out everything I will need for race morning, making sure my Garmin and iPod are charging, etc. I lay out all my food items (I have celiacs disease so I need to be sure I eat gluten free and have no issues on race morning!). The night before I make sure I carb load (does it help? Who knows, but it is fun!) and drink a ton of water or sports drink. Because I have taken care of gathering everything in one place, on race day morning I am able to shut off my brain and just get ready without freaking out about where my gear is or wondering if I forgot anything. I blast my music and just shut the world out. It’s my race day baby! I have a hemp necklace that I made with the charm that I got from my first ever half marathon that I wear every race. It’s a good luck charm and reassurance mixed into one. Otherwise I love my Garmin! I have a Forerunner 305 but I’ve got my eye on a 10. Pink, of course. Is there any other color? I’m slightly picky when it comes to supplements. I love Nuun because it’s a lot healthier than most other sports drinks, so I make sure I have some in my water belt or handheld water bottle. I’m also addicted to Gatorade Prime. I take that about 15 minutes before a big race starts. The last thing is Zipfizz. They sell it online or sometimes at Walmart. It’s an energy drink for athletes. I can take it in the mornings because it doesn’t bother me like coffee does. As far as diet goes… I’m still figuring that one out. I wish I had known that most runners run their own race and really aren’t looking at your clothes/body/weight/etc. It’s hard because as a larger runner I’m self conscious about my body, but I really don’t need to be. Just run your own race and don’t worry about the rest. 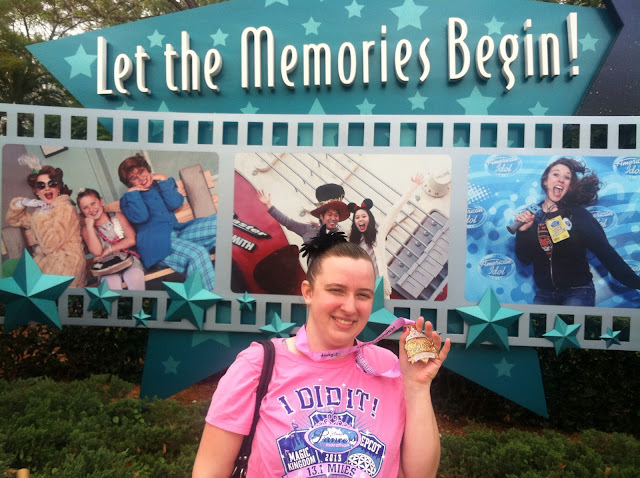 I already mentioned that I ran with my mom and that’s a huge memory I hold onto but another one is when I ran the Disney Princess Half Marathon. I hadn’t trained like I should have and was tempted to drop out at mile 2. Yes, you read that right. TWO. Then I saw huge butterfly flags beside the road. The butterfly is my insect, and then I knew that I could keep going. 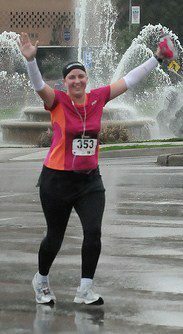 It was my dream to run that race and I still cry when I think about it and how I defied the odds and finished. My dream is to someday run ultras (anything longer than a marathon is considered an ultra). I have a lot of weight to lose and a long way to go, but I’m on my way! Thanks for sharing with us Liz! QOTD: Is is still really hot where you live? Or is it starting to cool off?